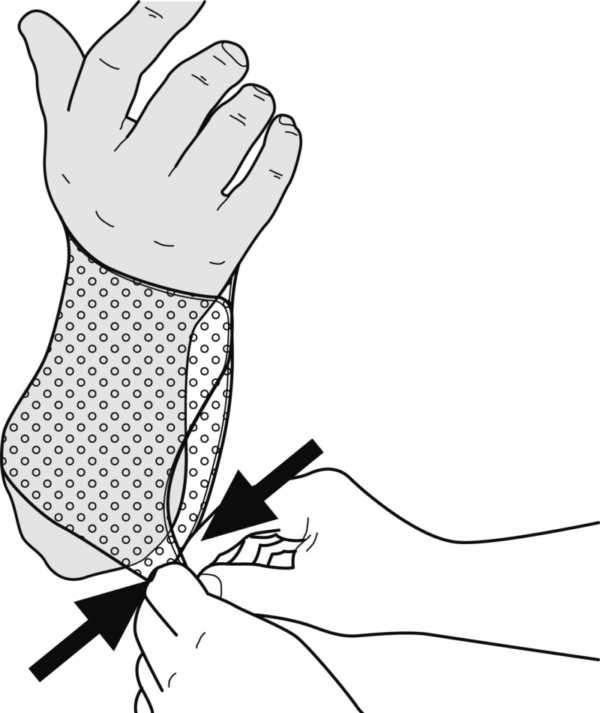 Immobilization of the wrist, basal joint and MCP joint of the thumb. Follow-up treatment of the scaphoid fracture. 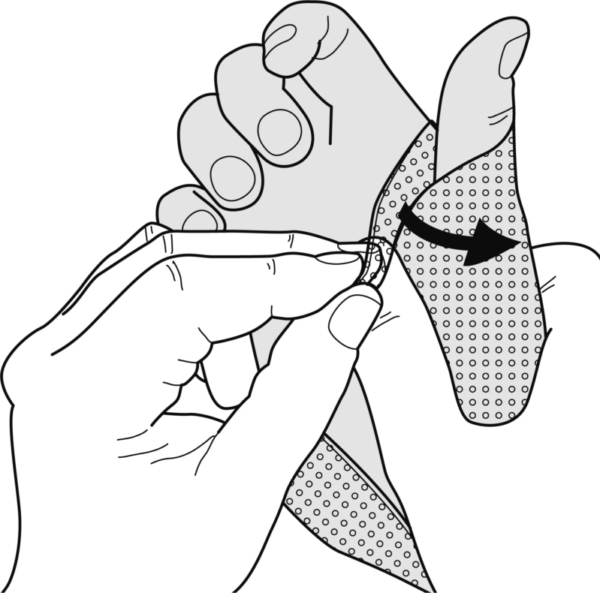 Place the pattern on the radial side of the hand, paying attention to the 2 reference points indicated with arrows. 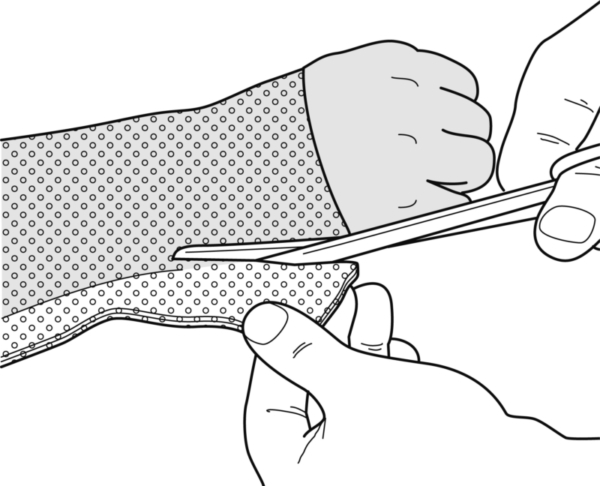 Bring the hand in a vertical position, grasp both the uppermost corners of the pattern and stick them together by pressing. Do the same with the bottom corners. 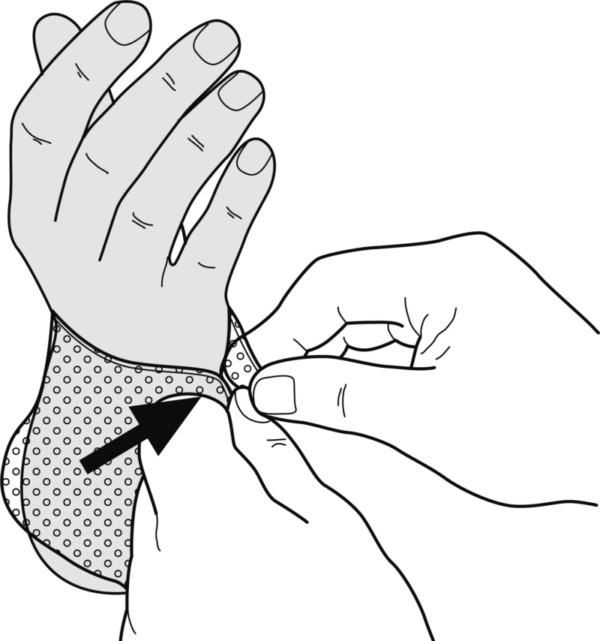 Stretch out the length and width and stick the seam along its entire length. Turn the loose piece around the thumb and stick it to the bottom layer by applying pressure. 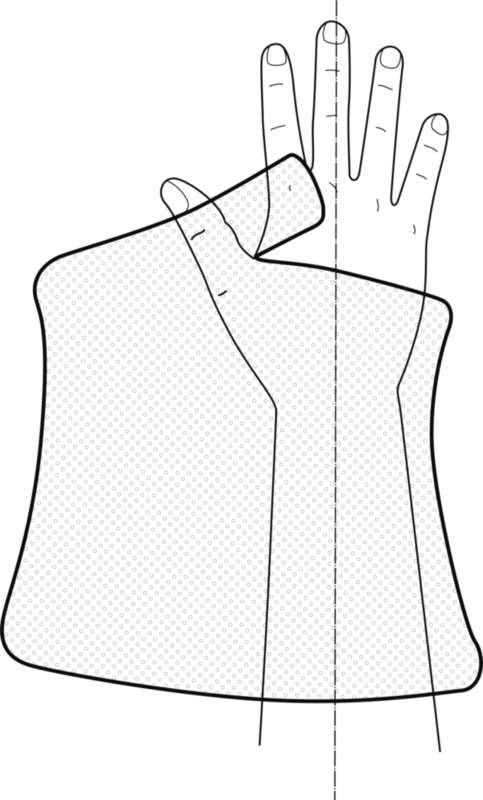 After it has hardened in the desired position, cut off the seam, when fully hard, pull it up. Cut off any surplus material. Where necessary, roll the edges over after re-heating. 3 fixation straps, 2 at each end and 1 in the middle.